To receive the free PYRO-ENERGEN weekly newsletter, simply provide us with your name and email address below. We'll keep you up-to-date with the latest articles and information relating to health and wellness that are not found anywhere else, PYRO-ENERGEN information, new products and special offers. We now have more than 200,000 readers and counting in more than 140 countries! Having trouble receiving the newsletter? 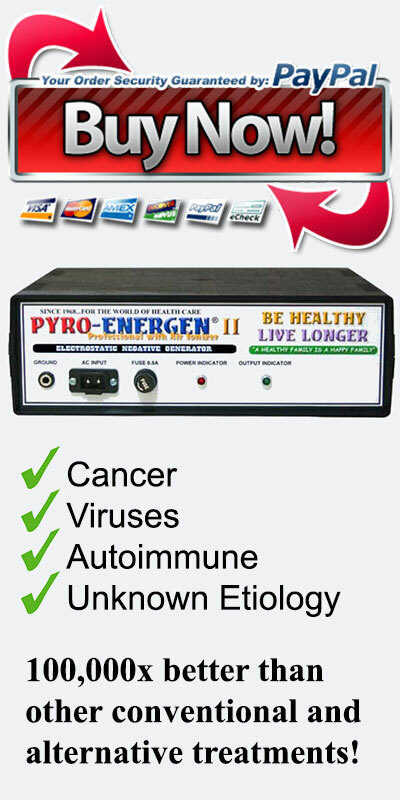 To ensure delivery to your inbox, please add news@pyroenergen.com to your address book or list of approved senders. This helps your email server know that this is something you want to receive. You may also want to check in your bulk or spam folder as sometimes it accidentally ends up in there. If for some reason it is in there there should be a button to mark that says "This is not Spam". Click on "Options" and select "Mail Options"
To the bottom of "Then deliver the email to the following folder", select "Inbox"
Note: Entering the email contact in the address book or contacts no longer whitelists the sender. Type pyroenergen.com and click "Add to list"
Add @pyroenergen.com where it says "Add address or domain"
Gmail, AOL, and other email clients: We recommend that you add news@pyroenergen.com to your address book.